Ezra Cornell's family owned a ten-acre farm in De Ruyter. As an adult in Ithaca, he resumed his interest in farming. He began by raising sheep and hogs, and wrote letters to the Ithaca Chronicle and the Ithaca Journal on agricultural subjects. His interest in livestock breeding led to his purchase of a pureblooded Shorthorn Durham bull. Early in 1840, he called for the revival of a county agricultural society. He was named marshal of the 1841 Tompkins County Fair and one of the judges at the New York State Fair in Syracuse. 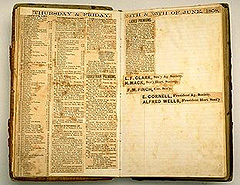 In 1842, Cornell purchased patent rights for Barnaby & Mooers' new plow for both side-hill and level-land use, and traveled through Maine and Georgia displaying it at fairs, auctions, and plowing matches. His letters during those travels comment extensively on agricultural conditions. Early in 1857, Cornell purchased the 300-acre De Witt farm between Fall Creek Gorge and Cascadilla Gorge. He named it Forest Park and decided to concentrate on raising pure-bred cattle. He also worked to improve the general level of agriculture in the county. In letters to the Ithaca Journal, he surveyed the county's farm records from the 1855 State census and discussed agricultural improvement. 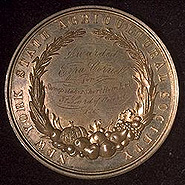 In 1858, he became president of the Tompkins County Agricultural Society. He was instrumental in the formation of a Farmers' Club and an Agricultural Reading Room. Before long, he had moved into the front ranks of American Shorthorn breeders. 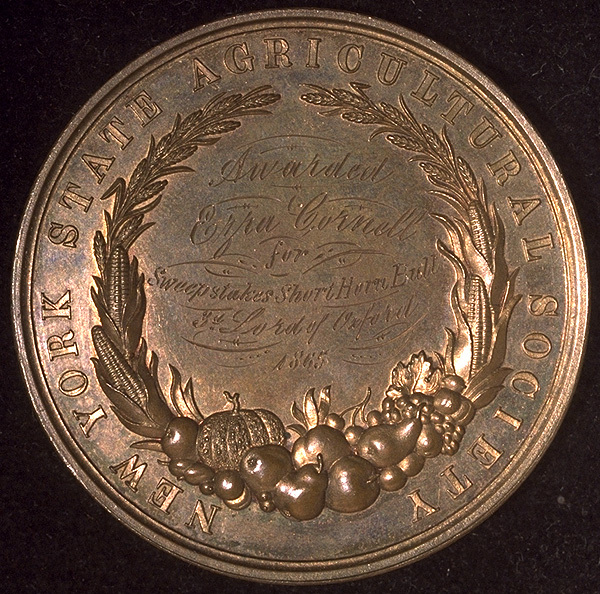 In 1861 he was elected vice president of the New York State Agricultural Society, and a year later, became its president. 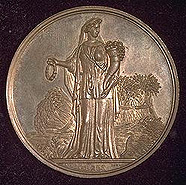 As official delegate of the Society, Cornell attended the International Exposition in London in 1862. On the trip, he wrote a series of detailed reports for the Ithaca Journal and the State Agricultural Society. His interest in farm machinery led to his investment in the Albany Agricultural Works and the Steam Agricultural Company. Ezra Cornell to the Trustees of the Village of Ithaca, Clinton House. July 15, 1841. I learn that some of my neighbors have got up a petition complaining of the manner in which I exhibit my Bull and at my keeping him in my barn at Fall Creek.... In a few instances in the fore part of the season when cows come to the Bull they were taken in to the Barn the door closed and the cow served. But since complaints have been made it has been our practice to drive the cow in Speed & Co yard behind the Mill entirely out of sight of any house and lead the Bull out to the yard and there serve the Cow. At other times the Bull is not taken out the barn except to water. 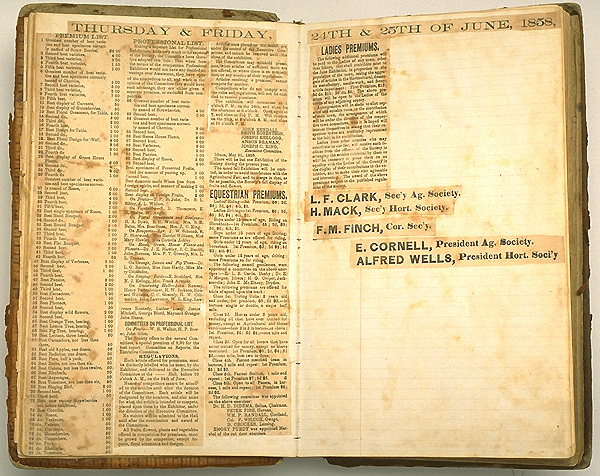 Catalogue of Pure Blooded Short Horn Durham Cattle and North Devon Cattle, The Property of Ezra Cornell. Ithaca, N.Y.: Ithaca Journal Office, 1858. 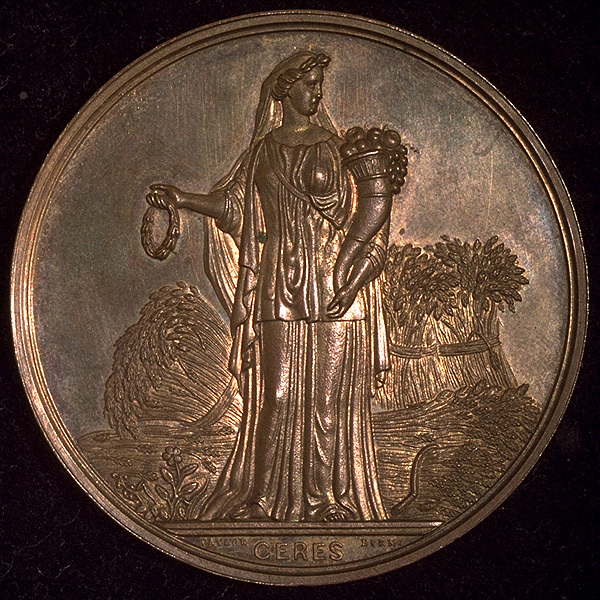 As official delegate of the Society, Cornell attended the International Exposition in London in 1862, visited the Royal Agricultural College at Cirencester, attended various cattle auctions, made purchases for Forest Park, and viewed the experimental farm at Rothamsted. On the trip, he wrote a series of detailed letters to the Ithaca Journal, and his reports were published by the State Agricultural Society. His interest in farm machinery led to his investment in the Albany Agricultural Works and the Steam Agricultural Company.